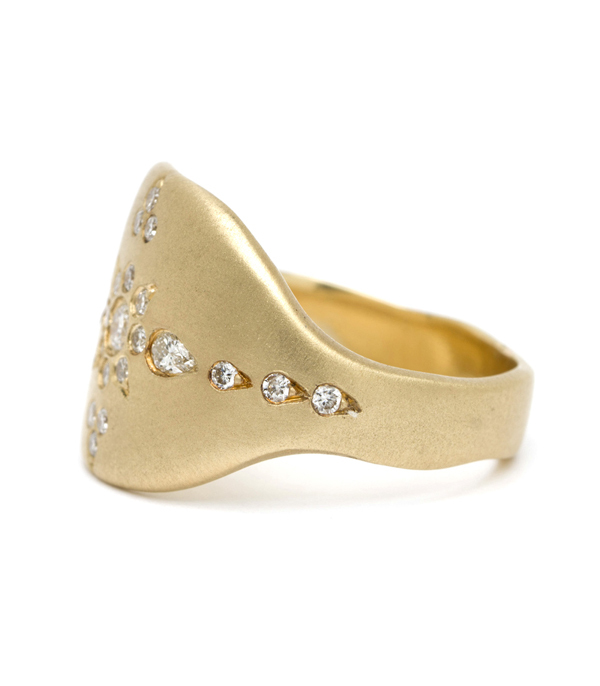 Meet the latest addition to our Poesie collection, the shields series! 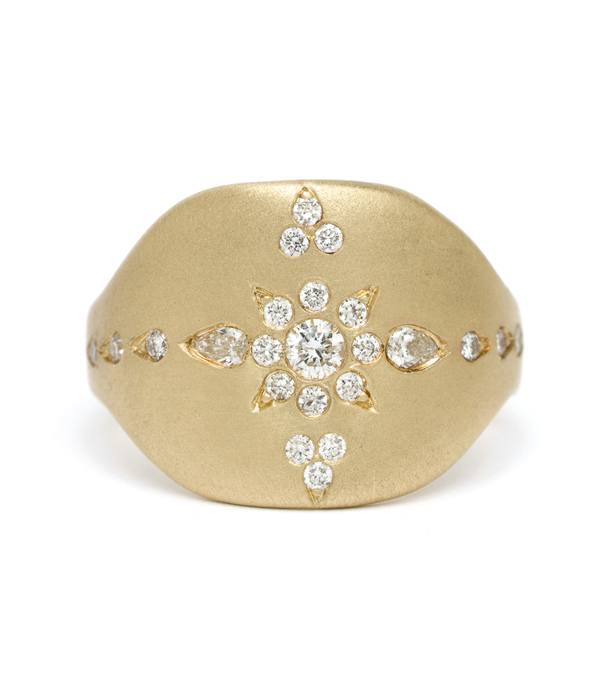 A symbol bearing protection and strength, a solid gold shield is simple enough to wear everyday, but classic enough to become an enduring part of your style. 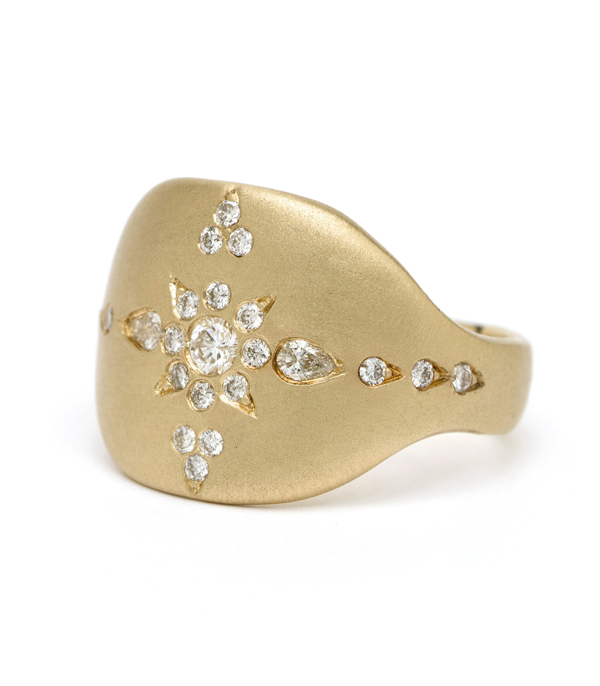 Cast in 14K gold, this statement ring is set with a variety of diamond shapes (0.24 ctw) in our signature Bohemian pattern, and finished with a matte surface. 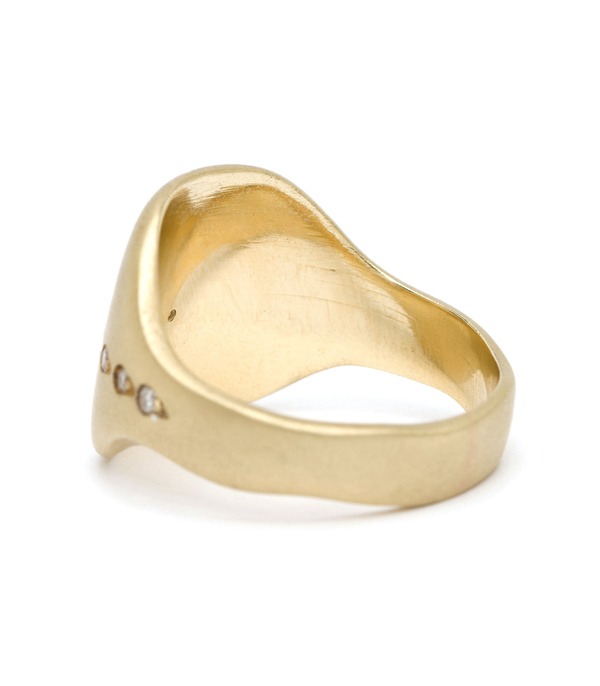 This ring is also available without stones, engraved or set with a variety of choices. The possibilities are endlessly dreamy. Please contact a stylist to discuss your favorite option. This item is part of our Summer Essentials Edit.